As Hurricane Harvey left unimaginable destruction and loss in its wake, I know that your heart, like mine, has been moved with compassion. Maybe you have asked: what can I do to help? At Ingleside, we are encouraging three responses: pray, give, and go. Pray. First, earnestly intercede on behalf of all who have been impacted. Pray for encouragement, wisdom, hope, and help. Pray for openness to the gospel. Pray for good to ultimately come out of this calamity. Give. 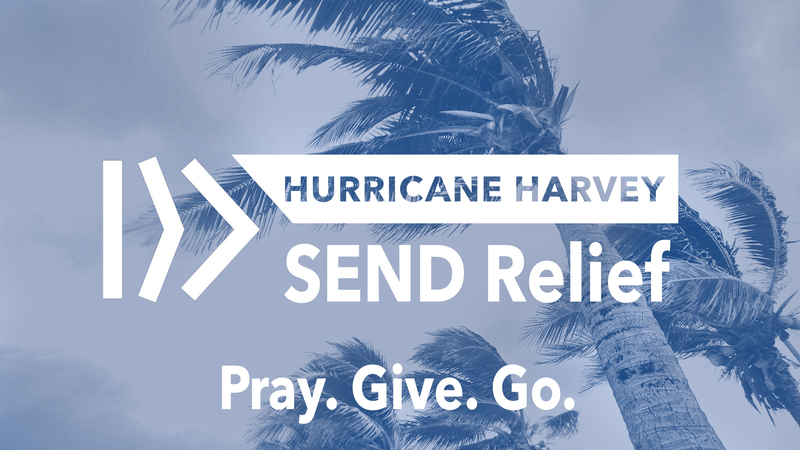 We recommend giving through Send Relief and Southern Baptist Disaster Relief. You may give online here. Your gifts will help provide hot meals, hot showers, and fresh laundry to those in need. As the cleanup begins, your gifts will support mud-out, chainsaw, and cleaning services. You can have confidence that one hundred percent of every dollar given will directly aid the relief efforts. And, all the relief provided will be offered in the name of Jesus as an expression of his love, and there will be a clear witness to the eternal life that Jesus offers to all who repent and believe. My wife, Beverly, and I have already given, and we encourage you to do the same. Go. In the days ahead, our hope is to send teams of volunteers from Ingleside who will go to assist in the relief efforts alongside our Baptist partners. If you think you might be able to go, or lead a team that goes, please contact our Missions Minister, Lisa Call, at lcall@ingleside.org, or 478-477-7251. She will be coordinating our efforts. God will be glorified as we respond with the compassion of Christ to those in dire need. Please join me in doing so today!